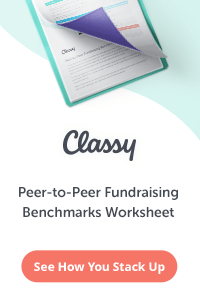 Some of these sites, like Fundraise.com, CauseVox, DoJiggy’s Pledge software and Fundly were set up specifically to help non-profits raise money to support their causes. Others, like Kickstarter and indiegogo, aren’t non-profit specific but have been used by charities to raise money to support their mission. 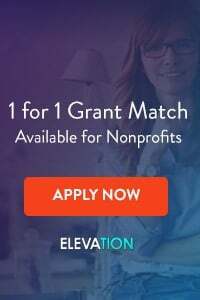 Today, let’s talk about crowd-funding websites for non-profits: what they are, and how your organization can use them to raise more money quickly and efficiently. While features differ from site to site, at their most basic crowd-funding sites are websites that allow your non-profit to set up an online fundraising campaign based around a fundraising page, and accept money directly from that page using the website’s own credit card processor. Many non-profits that find out about crowd-funding websites get very excited and make the mistake of thinking that these sites are magical cures for all of their revenue woes. 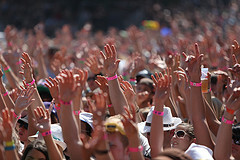 Crowd-funding sites can be a huge help, but they are not a fundraising panacea. For example, one of the great things about these websites is that once you get some traction on your campaign, other people from around the world may decide to donate solely based on the strength of your project. That being said, don’t expect to slap up a fundraising campaign, go away for three weeks, then come back to find that you’ve raise $1 million. It doesn’t work that way. You’ll need to get the word our first, get some traction from your own supporters, and then you may get some unexpected help. The best way to see what crowd-funding sites are all about is to go visit a few of the sites listed above, poke around and kick the tires. Check out projects that are currently listed, and see what types of projects are getting funded, and which aren’t. Doing so will give you a good insight into whether or not your fundraising campaign has a good chance of being funded through that site. Does this site have traction? (In other words, are people using this site to make donations, and are non-profits successfully raising money through this platform?) You want to use a site that at least has a decent amount of traction and traffic. Ideally, people come to the site to browse for causes to support… that way, you may get donations from folks who you don’t know, and who simply find you on the site. The best way to get new donors to support your cause through crowd-funding sites is by creating an emotional, compelling fundraising page. Use pictures and videos where possible, tell an amazing story, and explain to people exactly how much you need and what the money will be used for. It’s imperative to launch your online fundraising effort by reaching out to your own network. Tell everyone you know about your campaign – including your donors, supporters, staff, volunteers, board, etc. Ask them to e-mail out the campaign to everyone they know, and to ask their entire network to donate to the cause. You won’t get donations from others on a crowd-funding site until you have a good amount of traction from your own network showing that you are serious. You also want to publicize your crowd-funding campaign as much as possible. Put it on the front page of your website. Link to it on your Facebook page, through Twitter, etc. Try to get your local media involved by suggesting story angles. Take every opportunity to spread the word and get people talking about your project. Me and partners are trying to launch a non profit chain of use material store with average of 8000sqf that will hires disabled,handicap, overage worker. We need 125k to settle the opening, so far we got 30k but were far from opening. Normand, thanks for your question. The first step is to build support offline, before you run a crowdfunding campaign. Have you put together a board that is helping you fundraise? Have you asked for donations in person? Have you cultivated supporters and donors? If not, start there, before you launch a crowdfunding effort. Joe, this site is really great! I love all the wonderful advise for those of us not schooled in fund raising. I also have a question I am hoping you can help me with. I am starting in a non profit program in my area. It has been started in other places in the US but I am the start up person for my county. We will supply a bag with books, plushes, activity books with crayons packed into individual string bags to first responder vehicles in my area. The first responder will hand these bags out as needed to children involved in various high stress situations like domestic disputes, accidents ect to help keep them calm and distract them for a bit. What would you consider the best avenue to use in order to raise donations for this program? Thanks for your question, and congrats on your new program. For all non-profit organizations, no matter how small or where they are located, the fundraising start-up is always the same: start with individual fundraising. Put together a board, get the board to donate and to introduce you to their network. 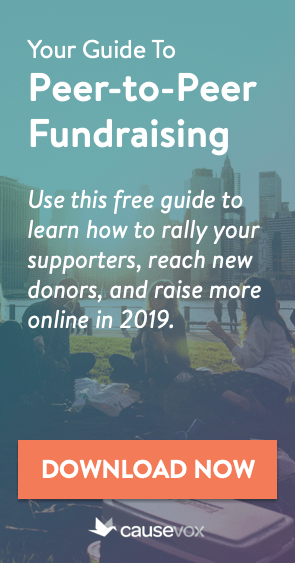 Start doing non-ask events and fundraising meetings. Raise money from individual donors, focused on major and mid-level donors. Only after you have a base of support set up should you move to things like direct mail and crowdfunding. Hope this helps – let me know if you have any other questions. I can’t find an answer about whether donations made to a 501c3 through Kickstarter are still tax deductible. Do you happen to know where I can find this information? Thanks! I am a novice board member for a small non-profit half day K-8 school for children with learning differences like dyslexia, dysgraphia, ADHD, language processing etc. The program has a one to four teacher to student ratio and has been very successful helping these children transition back into public schooling. The costs to run this school make it very expensive and out of reach of many children. I would like to start a crowd funding to provide financial aid to the families of struggling children but cannot afford the tuition. Is there any particular crowd funding site that would help us reach more potential donors and keep the tax deductible status of the donations? Thanks for your question. There are lots of great crowdfunding sites out there, and we just don’t have the time to stay on top of all of them, so we don’t provide recommendations on individual services. Your best bet is to use the guidelines in this post to make sure the sites you are thinking of using would be a good fit for your individual organization’s needs. I am a member of the Board of Directors for a US based foundation which is set up to donate to charities specifically grief related. We currently have over 30,000 followers on Facebook and I am looking into helping them raise funding to complete the websites that will help others in their grieving process. Do you have any specific recommendations for a choice of funding sites for us? Previous post: Stay Focused, Fundraiser!